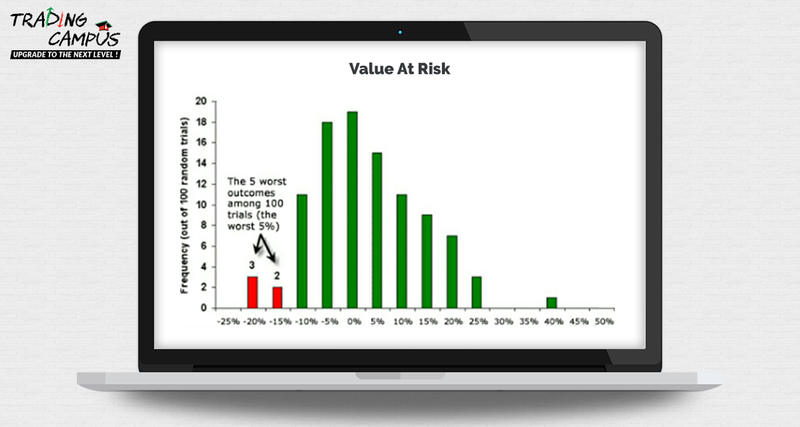 Value at risk measures the risk involved in investments in stocks ,and in portfolio investments. It gives a probable estimation of loss in the investments in a specified time period such as a month, with given market conditions. 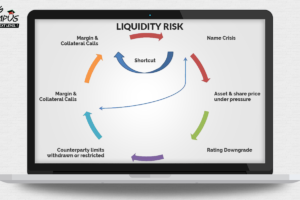 Investors make use of VAR to measure the capacity of assets required to cover possible losses. 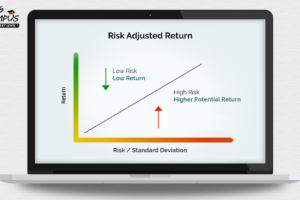 It is a statistical technique for measuring and quantifying the level of financial risk in a portfolio of stocks over a specified period of time. They can be applied to measure the risk exposure to some specified portfolios. Suppose 99 % daily VAR of assets is Rs. 100 then it would mean that out of 100 days there would be 99 days when the daily loss would be less than Rs. 100.This suggests that during 1 day, one might lose more than Rs. 100. The formula above is for VAR in % term. To convert it in absolute term we multiply the formula above with asset value. So VAR (absolute term ) = ZX%*σ*asset value. 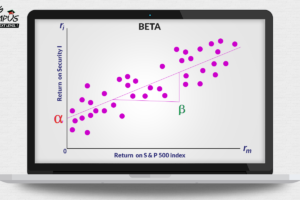 Calculating the VAR in excel is possible when you have a specified confidence level, mean (average return ), standard deviation of returns ,a time period. Here in the graph above we can say that with 99 % confidence level the maximum daily loss will not exceed 10% .We can say that if invest Rs.1000,we are 99% confident that maximum daily loss would not exceed Rs.100. We provide courses in Share Market Training certified by NSE Academy. Get Adequate knowledge through our classroom courses.